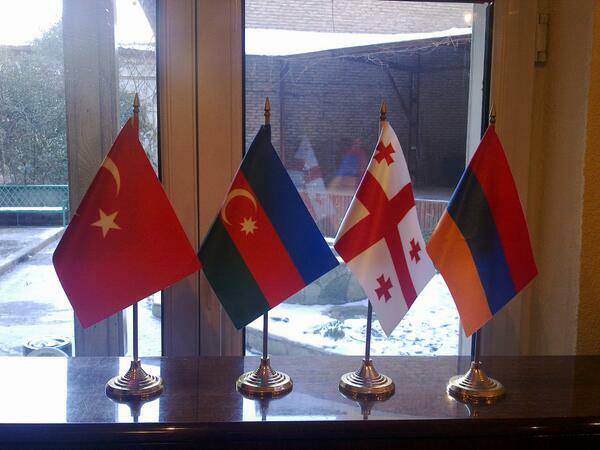 Both Turkey and Armenia would benefit economically and politically from prospective regional cooperation in the South Caucasus. Without normalization of official relations between these two important actors and their willingness to engage in the process, however, comprehensive regional cooperation cannot be achieved. The upcoming commemoration of the 1915 tragedy constitutes a new window of opportunity for both countries to find common ground for rapprochement by overcoming historical issues. In order to achieve an inclusive solution to the deadlock in Turkish-Armenian relations, efforts at regional cooperation should be undertaken at the civil society level and in the media; and at the political level simultaneously. Bilateral relations between Turkey and Armenia have always been complex due to complicated history as well as domestic, regional and international political developments. With the declaration of Armenian independence in 1991 after the collapse of the Soviet Union, Turkey was among the first countries that recognized it. However, despite Turkey’s recognition at an official level, bilateral relations have been largely stagnant since 1993, and currently there are no formal relations between the two countries. Neither Armenia nor Turkey has been entirely innocent as to why official relations have been stuck for years; both countries have had their respective political and diplomatic interests, which run in completely opposite directions. While politics are dominant in determining the stalemate in relations, misperceptions that Turkish and Armenian societies have against one another are also influencing bilateral ties. As such, the state of affairs between Turkey and Armenia is a multi-dimensional issue that is marked by conflicts and disagreements on different levels and should be approached by considering the variety of factors corresponding to it. After many years of deadlock, the first initiatives taken by officials from both countries were the reciprocatory visits of the Turkish and Armenian presidents for football matches played by their national teams respectively in Turkey and Armenia. This so-called “football diplomacy” period was a sort of opening for bilateral relations between the two countries to be moved forward. The signing of the Protocols on the Establishment of Diplomatic Relations and on the Development of Relations between Turkey and Armenia in 2009 in Zurich, Switzerland, preceded by the football diplomacy, was perhaps the biggest opportunity for the long closed borders between the two countries to be re-opened, and the normalization of official relations. Shortly after the signing of the Protocols, however, they were discouragingly suspended by Armenia and then removed from consideration in the Turkish Grand National Assembly. After the failure of this latest attempt, there has not been further official development of bilateral relations between Turkey and Armenia. There is no doubt that the South Caucasus region plays a significant role for Turkey in terms of economy, trade, and politics. As a neighbor of this region, connecting Western markets with the Middle Asian energy resources and supporting peace and stability in the South Caucasus are of strategic importance to Turkey. Turkey is dependent on an imported energy supply, having only around 26% of its energy demand met by domestic resources. In this respect, it aims to diversify its energy supply routes and source countries. Moreover, Turkey wants to be an energy hub for energy transit from the Caspian region to Europe. Its problematic relations – or rather lack of relations – with Armenia, however, prevent wider cooperation in the region, and limit the benefits that both countries may gain from mutual, and thus regional cooperation. In order to strengthen political and economic ties in the whole region, the normalization of Turkish-Armenian relations may play a crucial role. From this point of view, both sides need to moderate their policies towards one another. Turkey’s biased stance to the Nagorno-Karabakh conflict prevents it from being a mediator. This stance also drives the normalization process into deadlock with Armenia. Therefore Turkey should aim at normalization first, in order to be able to act as an intermediary for contributing to a peaceful solution of this conflict involving both Armenia and Azerbaijan. In this context, Turkey should take its responsibility of addressing the Nagorno-Karabakh conflict objectively rather than subjectively. As mentioned above, rapprochement between Turkey and Armenia cannot be sustained only in the lobbies of governments, since this dilemma also has its roots in the people’s personal and collective memories and consciousness. On both sides, historical stereotypes and a lack of knowledge and understanding of past events feed the deadlock in bilateral relations. In order to solve this long-lasting issue, it is crucial to focus on Armenian and Turkish societies and their respective perceptions against each other as a parallel to official political actions. The role of non-governmental organizations (NGOs) and the media is crucial in this process. Importantly, NGOs should implement projects bringing together young people especially, with a long-term perspective to overcome the misperceptions in their societies. Projects of NGOs should aim at breaking stereotypes in education systems, particularly history teaching, by increasing awareness and putting pressure on policy makers in both countries. Thus, projects focusing on the rapprochement between the societies of Armenia and Turkey and producing effective and feasible policy recommendations for both governments would be more fruitful and long lasting. Firstly, while referring to the significance of the role of civil society, not only NGO lobbyism but also a wider civil involvement should be aimed at. In other words, without ignoring the importance of NGOs in contributing to the normalization process of Armenian-Turkish relations, they should be tackled critically, since their projects may not necessarily address the peoples themselves; instead, their activism may be confined within their own institutional structures. The initiatives that NGOs take, such as second-track diplomacy, are critical. However, a broader platform of civil participation also outside of NGO work may be the first priority. This includes exchanges between students or youth at large, academic research, and journalists from both countries, working to maintain this civil political involvement. Secondly, the media holds great importance in breaking misunderstandings on the general consciousness of people, as the mass media essentially penetrates the way that people perceive any social and on-going political developments. Therefore, the media should strongly avoid hate speech and should use a discourse encouraging dialog, and understanding between societies. In conclusion, Turkey and Armenia need to broaden their political perspectives, underlying their bilateral issues to take into consideration the potential benefits from regional cooperation in the South Caucasus in terms of energy, economy and politics. As mentioned above, the problems between Turkey and Armenia may only be eliminated with a multi-dimensional approach, which particularly includes a focus on regional interests. Without the involvement of Turkey and Armenia, respectively, attempts towards regional cooperation in the South Caucasus will likely be difficult to achieve. Therefore a possible normalization of Turkey-Armenia relations in a way that features societal, political, and diplomatic needs is of great importance for both countries to meet their regional interests and to contribute to regional cooperation. Moreover, in order to influence the Turkish and Armenian governments’ foreign policies, in a process for rapprochement; civic engagement and the constructive role of both countries’ civil society and media are crucial.